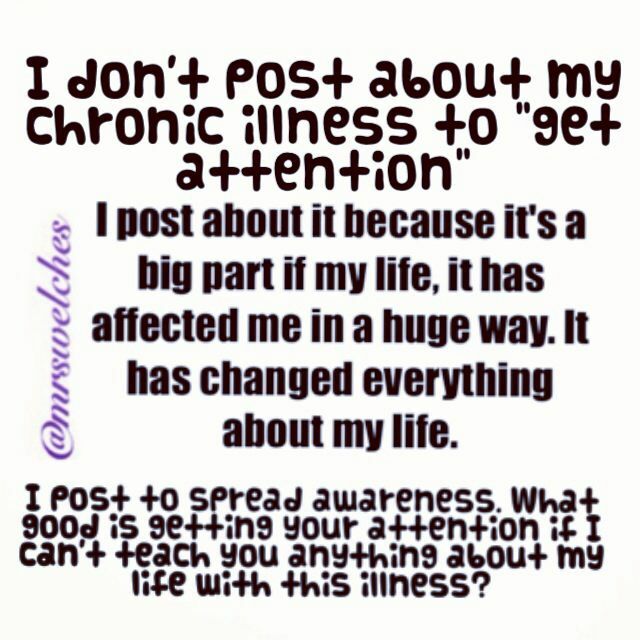 Living with chronic illness, sometimes you just want to write or post anything related to your conditions. For me personally, I do it because I want to raise awareness about the disease as well as try to catch up with other survivors in town. I also want to share what I feel and what I’ve been through during my ups and downs. As a ‘survivor’, it’s a huge relief for me to read and know that there are plenty of people out there (esp. 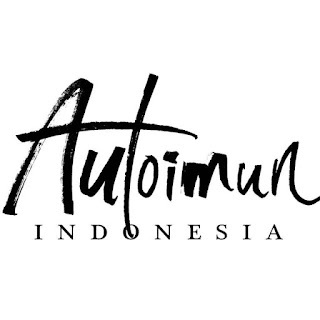 here in Indonesia) who feel the way I feel and experienced similar problem with me. It is not easy every time someone asked me “are you sick? What kind of sick do you have?” or “what do you feel about your sick? What is it once again? I don’t understand” because most of the time they don’t understand and I have to explain it from the very beginning and then they said “oh..ok..”. So, to keep it short, I usually simplified this disease and make it easier to hear for them. Fortunately, I found a website where people with autoimmune disease write about their illness by answering 30 simple questions. I tried to answer these questions and hopefully I could explain my condition to everyone as well as understand myself in a better way. 4. The biggest adjustment I’ve had to make is: my activities! I can’t even clean my bedroom, not being able to eat my fave food and snacks, do some outdoor activities (esp. under the sun) and physical sports. 5. Most people assume: I exaggerate my pain because I don’t look sick during the day. In fact, I hide my pain pretty well and managed to get to work no matter how bad it hurts. 6. The hardest part about mornings are: the morning itself! I do hate my morning because I lost 60% of my energy and I feel extremely helpless. I had a very bad migraine, axis and muscle is really painful most of the time. 7. My favorite medical TV show is: none actually but I enjoy dr Oz and Grey’s Anatomy sometimes. 8. A gadget I couldn’t live without is: iPhone. 9. The hardest part about nights are: Massive headache, migraine, suffocation, insomnia, and spasticity. 12. If I had to choose between an invisible illness or visible I would choose: none of those of course. But if I had to I would choose invisible because I will get less “pity look” than the visible one. 13. Regarding working and career: I love my job, my career, and my current workplace but this disease gives limitation to my performance. I consider to change my dream..
14. People would be surprised to know: I have the most supportive husband who taking care of me during my hard time accepting the illness. 15. The hardest thing to accept about my new reality has been: my body’s bad response to monosodium glutamate, heat, constantly tired and the fact that I couldn’t do what I would like to do no matter how bad I want it or how strong I think because thinking strong isn’t enough. 16. Something I never thought I could do with my illness that I did was: take my daily meds, love to take blood regularly, and feel that hospital is my second home. It’s scary sometimes to feel that I miss being at hospital. 18. Something I really miss doing since I was diagnosed is: driving, running (and other sports activities), and eating Indomie as much as I can anytime I want. 19. It was really hard to have to give up: Indomie and processed food and Sambal!! 20. 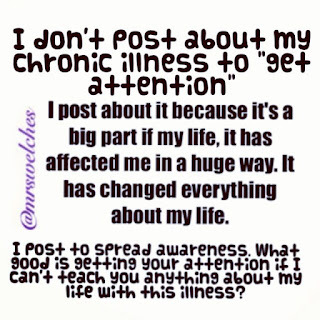 A new hobby I have taken up since my diagnosis is: being actively in social forum and googling about my illness. 21. If I could have one day of feeling normal again I would: jump around, running as fast as I can, and throw away my pills. 22. My illness has taught me: being healthy is the greatest blessing from God. 23. Want to know a secret? One thing people say that gets under my skin is: “Oh, I feel that too sometimes, take it easy”, “what’s the effect of your disease? It’s not that bad, right?”, and “get well soon” – can I just slap your mouth? 24. But I love it when people: don’t judge and give me a confused-underestimate look and say “I know you are strong!” or “just believe and keep on believing that when God says heal and you’ll be healed”. 25. My favorite motto, scripture, quote that gets me through tough times is: “Just keep swimming” – Dory on Finding Nemo film. 26. When someone is diagnosed I’d like to tell them: Stay strong, don’t panic and you’ll get through this as long as you believe in yourself. 27. Something that has surprised me about living with an illness is: able to know how many friends and family that really care for me and realize that I could be “this” strong. 29. I’m involved with Invisible Illness Week because: I want to raise awareness about this in my country or at least in my society. 30. The fact that you read this list makes me feel: valued and I feel that you do care! Thank You!! Hai Nadda! Glad to finally 'learn' something about your invisible struggle... Thanks for sharing openly! Cliches aside, I hope your good days outshine your bad ones :) You are a fighter. Hello Winda, thanks for stop by! Hope you have a better day everyday. We have a whatsapp group consist of fellow battler to support each other, if you want to join let me know yup. There's also doctor on the group who give us insight from med point of view. ((ahh baru baca)) ok count me in! i'll Line my WA # ya?